Biblical scholar Walter Brueggemann has always excelled at making the Bible approachable and engaging. Drawn from a series of public conversations with Brueggemann and his former student and longtime friend Clover Reuter Beal, An On-Going Imagination explores Brueggemann’s most influential biblical-theological concepts and methods: Why should we still bother with the Bible today? What is the purpose of prayer, and what can it do for our lives? How is keeping the Sabbath countercultural? What does it mean to say that the God in the Bible is “a God in recovery”? 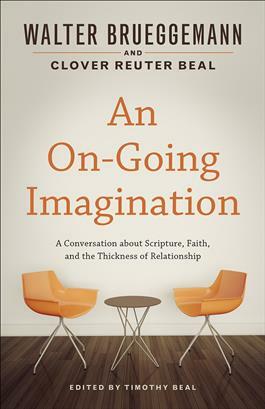 Intimate, provocative, and challenging, An On-Going Imagination offers an enlightening introduction to Brueggemann’s work for readers who want to learn more and a way back into the Bible for people who feel alienated from it by those on the right and the left who claim to have it all figured out. Brueggemann and Beal reawaken us to the fascinating strangeness of biblical tradition and its incredible power to help us imagine new ways of seeing and being in the world.